As early as 1840 a small settlement of French Canadians and their part-Indian families existed on the site of Lakeland Village along Lake St. Croix. Apparently these earliest settlers moved on, because by 1849 there were no buildings at the present village site. Henry W. Crosby, who came in 1842, staked out a farm that included the present site of Lakeland, a site well situated for trade with Hudson across the river. A ferry service was established in 1848 by Moses Perin. The ferry was operated between 1850 and 1869 by John Oliver, a former British Naval Officer and Boston harbor pilot. Oliver built a Greek Revival house, still standing, on the bluff overlooking the ferry in 1849. That same year, 1849, Moses Perin secured land near the ferry site, erected several buildings, and laid out the Lakeland town plat. Perin’s plat was first of several. It featured about 47 blocks and a public square along Main Street, a wide avenue on axis with the river. Commercial development was attracted to the area. In 1850 a there was a wagon-making shop. 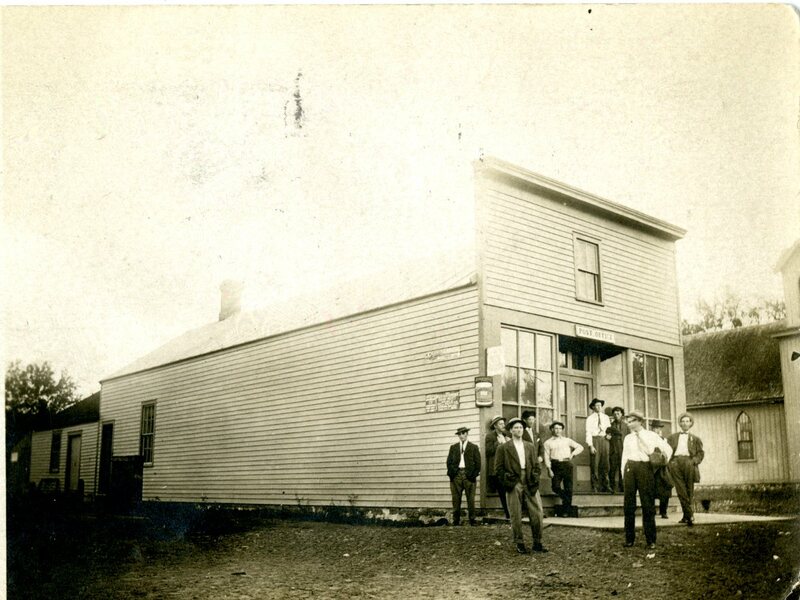 A post office was established in 1854 and a mercantile store was opened in 1855 by A. D. Kingsley and Joseph Wilson, followed by a blacksmith shop, doctor, lawyer, and saloon. The first school in Lakeland was taught by Harriet Newell in a private home, but in 1855 a school building was built. By 1858 there were 14 stores, hotels, shops, and dwellings. This development was arranged around Shanghai cooley, a ravine at the northern end of the village named for some Asian fowl brought there by Freeman C. Tyler—in fact, the settlement was often referred to as Shanghai Cooley. In 1855 the editor of the St. Paul Pioneer suggested building a “newstyle house” of “grout,” which was a cement of lime, mud, sand, and gravel. John T. Cyphers was taken with this notion and by 1858 had built a remarkable “grout house” that still stands in Lakeland. He poured the cement-like material between wooden forms to build up walls nearly two feet thick. A number of investors attempted to establish mills in Lakeland before the Civil War. The Shanghai Sawmill near the cooley was begun by Moses Perin in 1852 and completed by Freeman C. Tyler. Several sawmills, including the Hale, Fay & Company steam sawmill, were started in 1857, but many fell victim to hard times. Some mills prospered. The C. N. Nelson Lumber Company Mill at its peak employed some 75 men and was still in operation in the 1880s; the R. H. McCoy sawmill, built in 1886 near the present swimming beach, was still running night and day in 1900. Nelson, a Stillwater lumberman, also built a grist mill in 1859 and a warehouse for handing wheat was erected in 1861 by Clement and Huntoon. The Munch Brothers began building boats in 1871. They constructed the steamer Osceola and several barges that year, but the enterprise seems to have folded shortly thereafter. Another plat of Lakeland City was made in anticipation of the St. Paul & Milwaukee railroad, which was constructed in 1880. It featured a two-block public square and several mill sites and riverside depot grounds within the nearly 90-block plat. A number of investors entered additional plats at the edges of Lakeland and Lakeland City. However, only a scattering of development occurred on the hundreds of available lots. In 1951, the Village of Lakeland was incorporated. 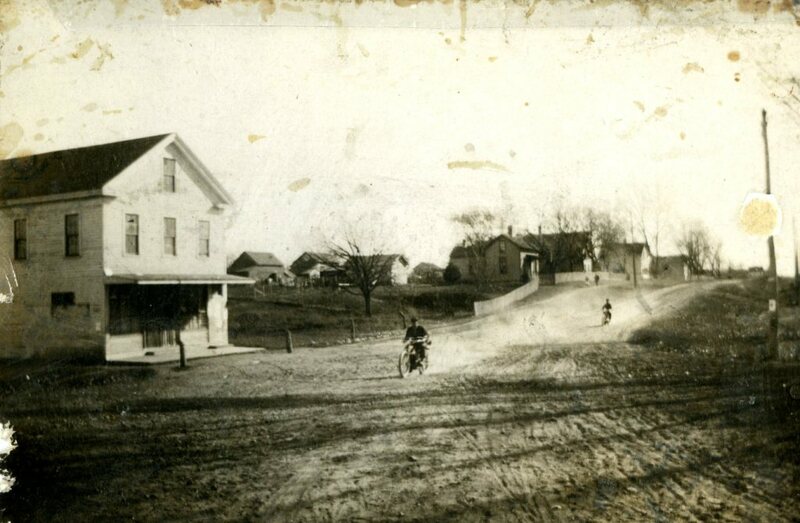 That year Lakeland’s Main Street, Quinnell Avenue North, was the only paved and lighted street in the community. The construction of Interstate 94 obliterated a portion of the northern end of the original plat of Lakeland, passing over the former Mill Street. The village, now city, of Lakeland, has opted for carefully controlled development to maintain the ambiance of a small village. Today there is little industry in the city, but there is a commercial strip centered around the Lakeland Plaza shopping center on the west side of County Road 18 (St. Croix Trail), which includes a branch library. Lakeland is becoming increasingly more suburban. It is home to a highly mobile group of commuters working in Bayport, Stillwater, and St. Paul. The population, which stood at fewer than 600 in 1980, was by the 2000 census about 1,900, with little growth since.